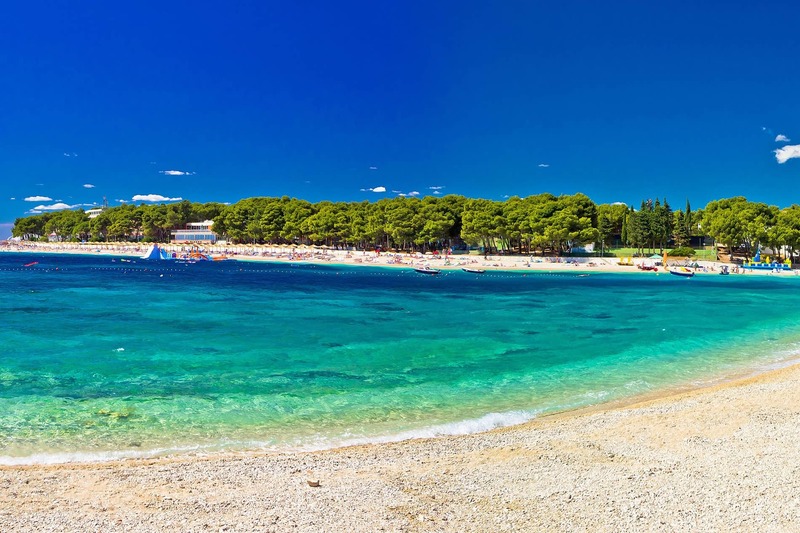 Primošten is one of the most popular tourist resorts in Dalmatia and ranks among the most picturesque small towns on the Adriatic coast. 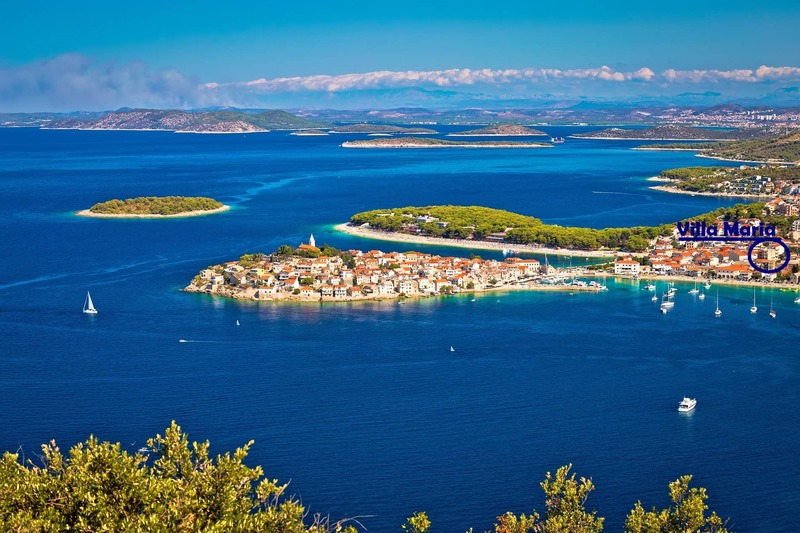 It is located only 27 km south of Šibenik and about 33 km north of the town of Trogir, so halfway between these 2 UNESCO cities. The old part of town lies on a small island with a number of typical narrow streets which was in the Middle Ages connected to the mainland by a bridge. The parish church of St. George dominates Primošten and is located on top of the peninsula inside the old town. It was built in the 15th century and was thoroughly reconstructed in 1760. 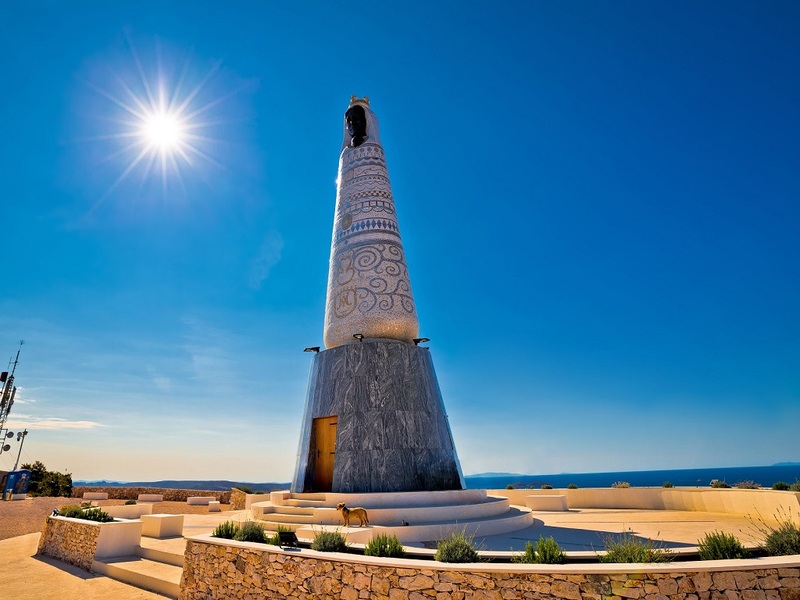 All tourists and guests who climb here have a beautiful panoramic view of the open Adriatic sea and distant islands. The town has preserved its Mediterranean atmosphere and all the characteristics of a medieval Dalmatian fishing village like narrow streets and old stone houses in the old town on the peninsula. 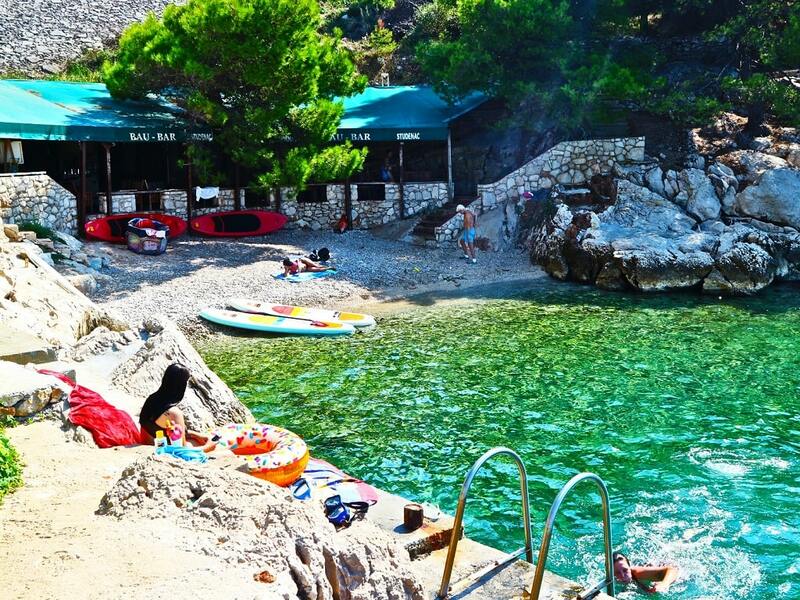 On the second bigger peninsula called Raduča, north of the old city is located Hotel Zora with a sports complex and a dense pine forest which is ideal for families with small children where they can find a lot of shade during hot summer days. 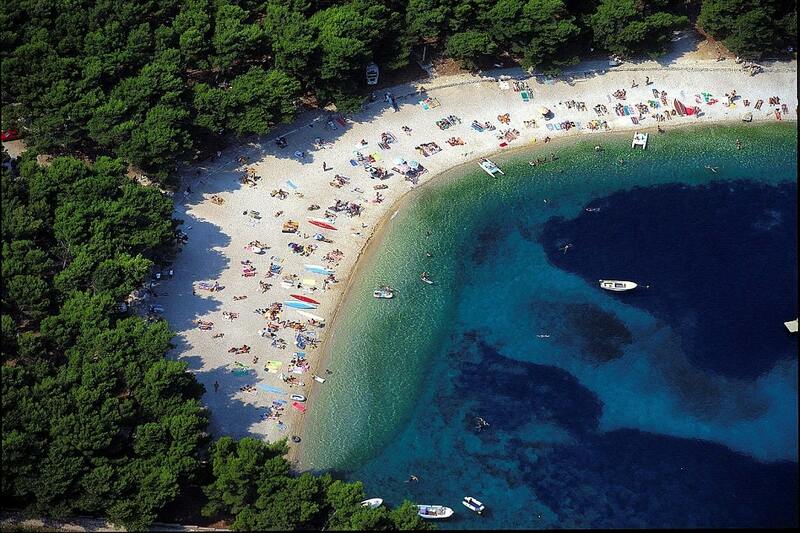 Around Raduča peninsula is almost 2 km of beautiful pebbles beach with the crystal clear Adriatic sea. It is ideal for families because it is never too crowded and you can rent deck chairs and sun umbrellas and spend a relaxing day on the beach. The largest beach in Primošten called Velika Raduča and neighboring beach, Mala Raduča, has been named one of the 10 most beautiful beaches in Croatia. Here you have numerous possibilities for sport and recreation: tennis, table tennis, bowling, beach volleyball, sailing, and diving. Gastronomy offer is large and you can choose from almost 50 restaurants and taverns where you can find Dalmatian specialties or famous Primošten red wine Babić. During the summer months and tourist season in Primošten are held a variety of events such as the Customs of Primošten, fishing night and folklore evenings. 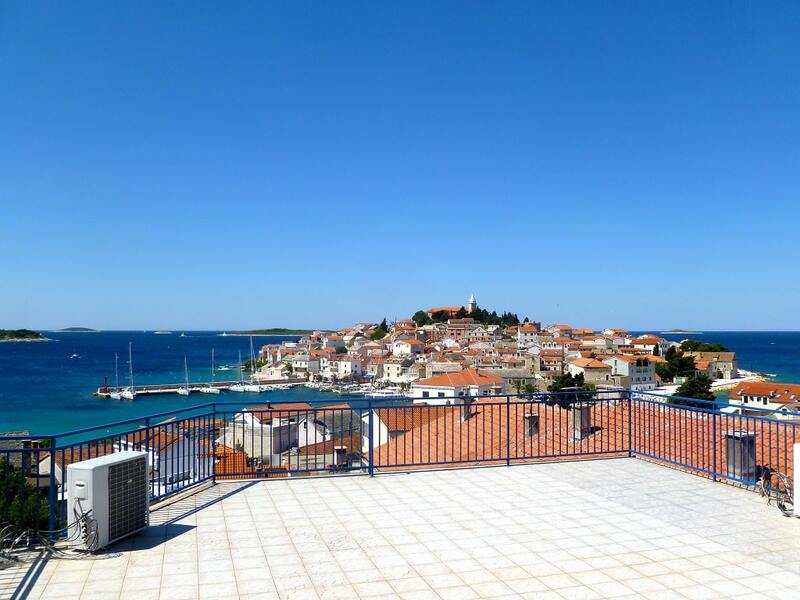 Primošten has stable, dry, sunny and beautiful weather during the summer (June, July, August, and September). The average temperature of air in the summer in Primosten is 26 to 30 °C, with more than 2700 hours of sunshine a year. The temperature of the Adriatic sea is from 22 to 25 °C during all summer until October. 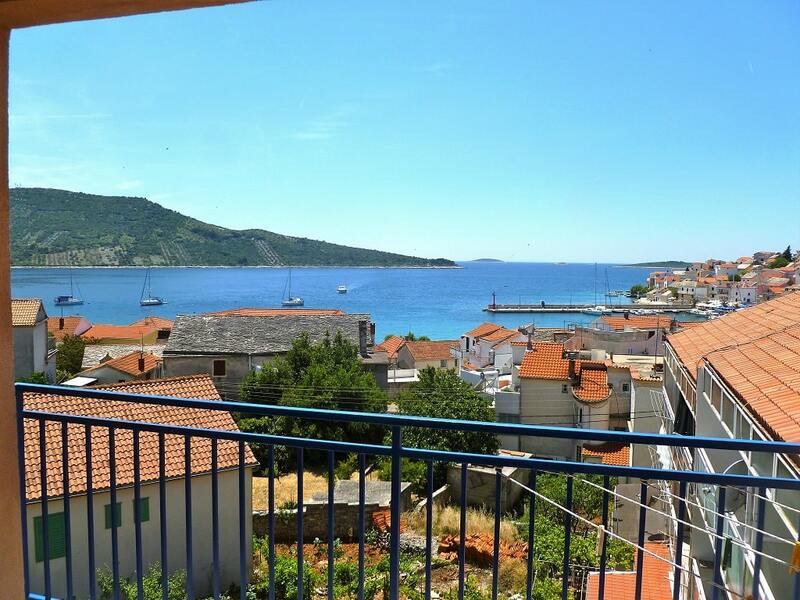 Welcome to Primošten, the town of beaches and jewel of Dalmatia and Adriatic sea! 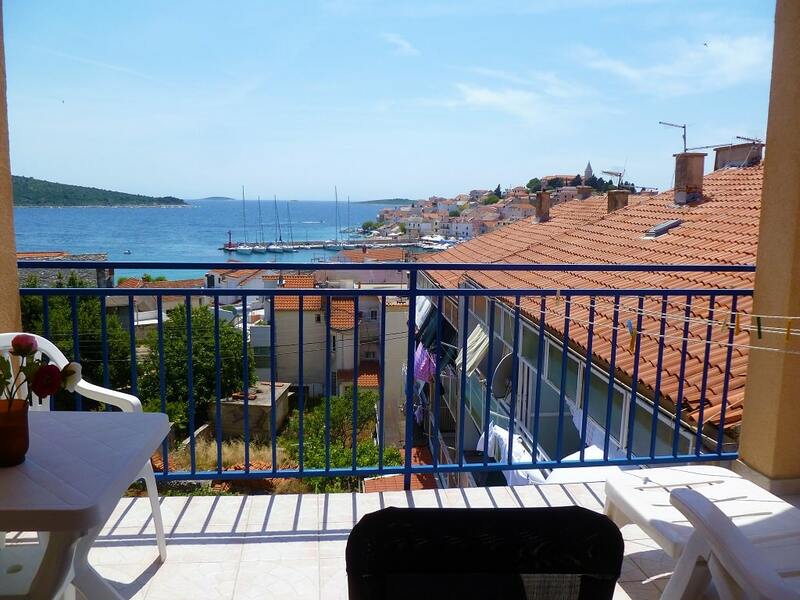 Apartments Villa Maria are located in the center of Primošten, 50 - 100 meters away from beautiful beaches (Mala Raduča). 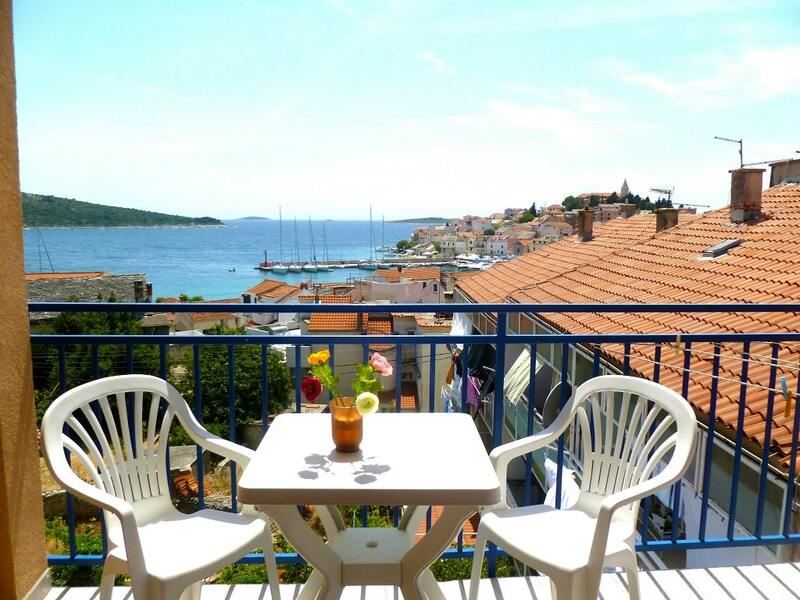 On the top of the house is a large terrace, which all guests can use and has a spectacular panoramic view of Primošten, beaches, and the Adriatic sea. Apartments Villa Maria has eight studio apartments (3+1) and two big apartments (6+2). They are all modern style and have three stars that guarantee comfort and happy vacation. 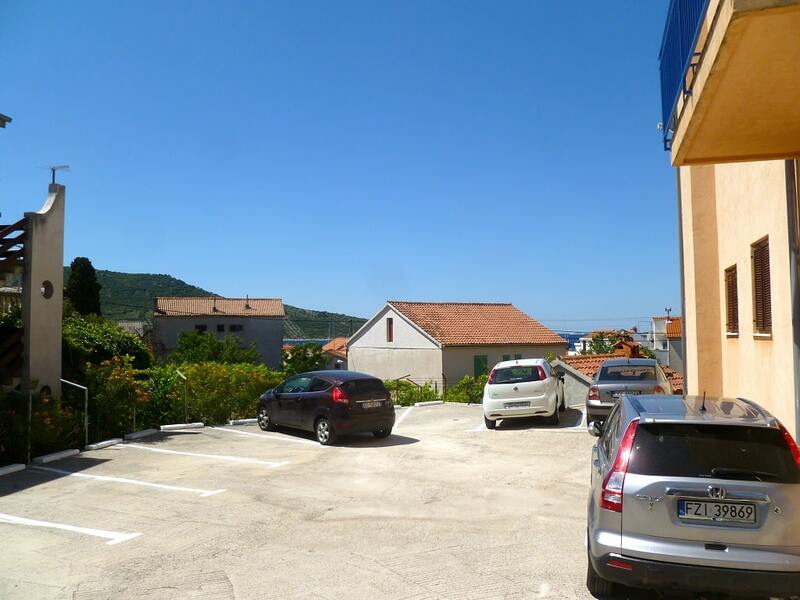 All apartments have air condition, free WiFi, mini kitchen, refrigerator, satellite TV and a beautiful view of the Adriatic sea. Studio apartments have three beds + additional, two big apartments have six beds + two additional. All apartments have parking space. 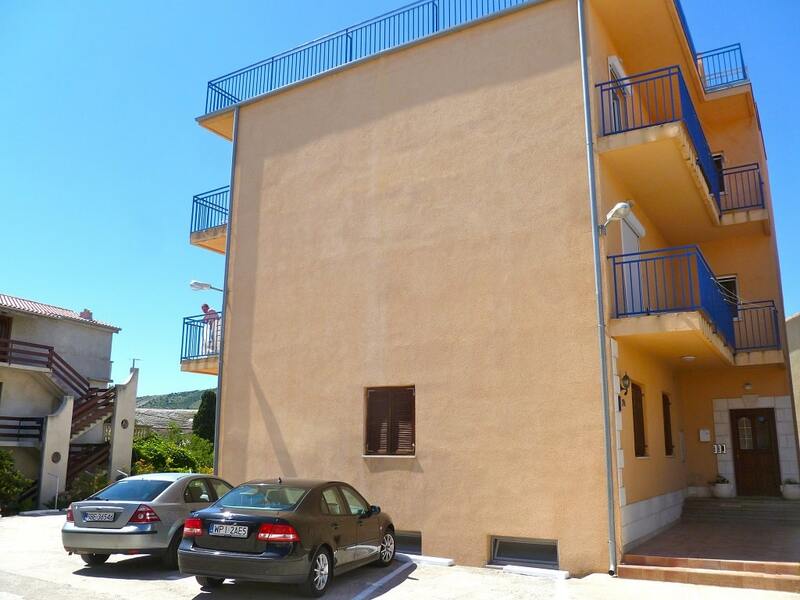 Grocery store, post office, bank, bakery, and shops are all 100 meters away from the house. For all additional questions or if you want to make a reservation, please contact us! Your ideal vacation in Primosten awaits you in Apartments Villa Maria! 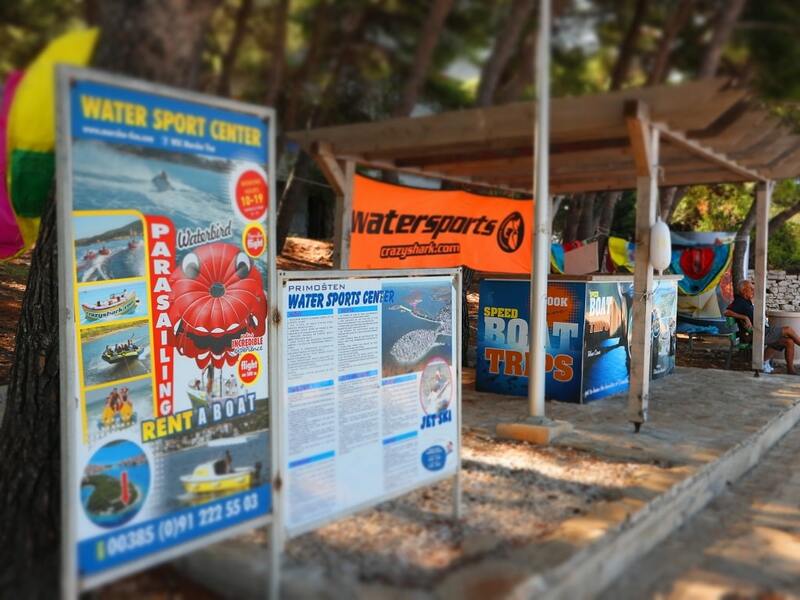 Tourist guide - What to do in Primošten? 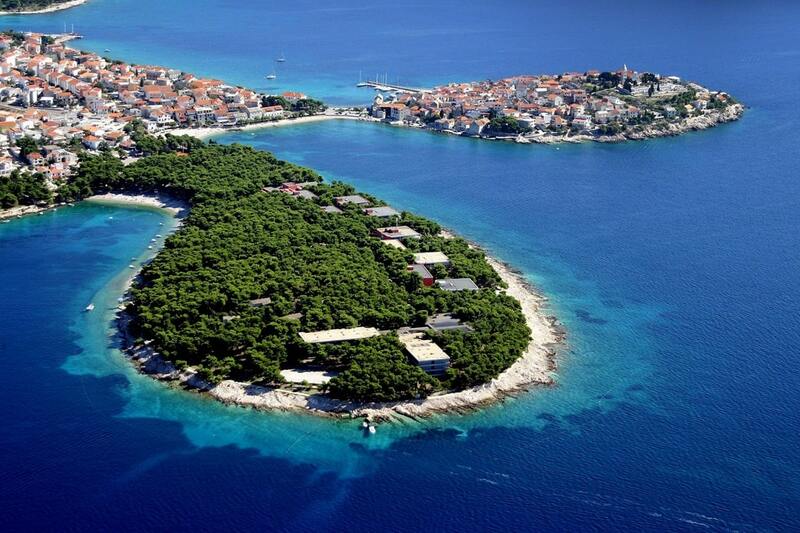 Primošten - town of beaches and harmony of sun, sea and stone! We thank you for your help in spended our vacation in your villa in Primosten. I think that we will be back to you to Primosten because this is beautiful town. You are good host, and thank you for information about town and about attractions in Primosten. We recommend yor apartments. This was interesting holiday. I hope that u are very well. I would like say THANK U for fantasic time which we spent in Primposten and your Villa Maria, all was perfect - thank u very much - we will recomend your Villa and fantastic Primosten. Pricestovali sme domu na Slovensko v poriadku. Dakujeme za krasnu dovolenku. Nasu spokojnost budeme posielat dalej nasim znamim.